Oh my....this is such a special post for me!! I have a handful of friends that I've had since I was about 11...and the daddy to this beautiful newborn girl is one of them. Alex has been my concert and music buddy as a young kid, good friend through the teenage years, best friend to my husband (even back then! ), Best man at our wedding...and uncle to my kids. I am lucky to be able to count this guy as one of my best life-long friends. *sniff sniff* So.....seeing him and his beautiful wife, Alysha, become parents is something that makes my heart so happy!! I am so lucky to also now call Alysha a best friend in life as well! We have now known each other for over 10 years...and had many adventures together, and she is actually a silent helper with my Business on the back-end stuff! She is amazing...and I know she will be just an amazing of a mama!! Ok enough with the emotional-tear-jerker talk lol! No really though, when they asked me to document their beautiful baby Charlotte's (Charlie) Newborn photos...I was of course honored. We spent the afternoon just hanging out at their home and doing what you do when you have a Newborn....which is change diapers, figure out napping and breast-feeding, tricks to soothe crying, and trying to relax for two seconds at some point. I used to do a lot of Newborn Photography, with lots of posed basket shots, etc.....and I think it is adorable....but it is just not what my heart wants to photograph. I want to photograph real life...and actual moments....things that you will look back on and think, "yep- that was our beautiful chaotic life...and I am so lucky". 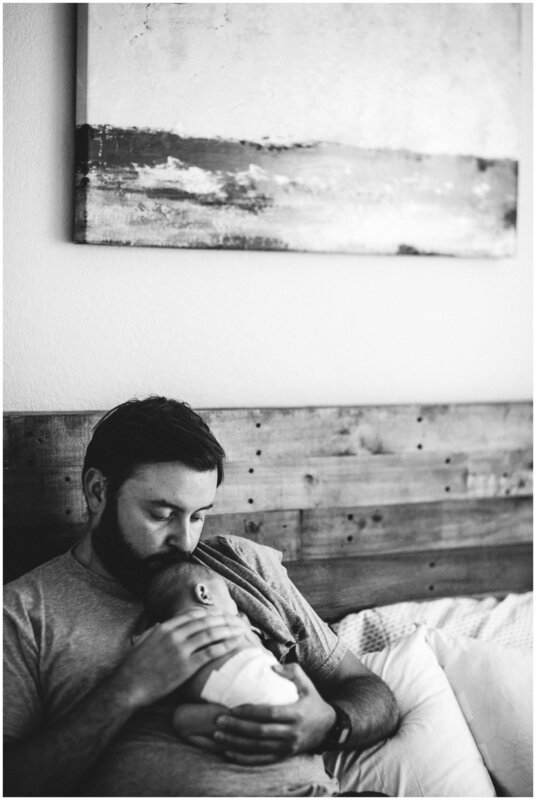 Thus, I don't do a ton of "Newborn" photography anymore- I do "Family Stories". Because it's not just about the baby...it's a family journey. You will even see a few photos of my boys in the photos- and yours truly in one! ;) This little baby is now my niece- and since I don't have a girl...I now have an excuse to go into the Girly section at Target-- yay!!! ;) Can't wait to see this precious girl and family grow together! Love you guys, and congrats, and welcome to the world of having kiddos!!! !